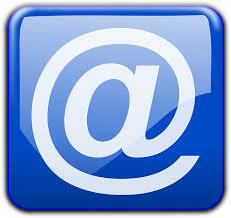 Ensure you send to legitimate B2B email addresses. The safest are individuals who have opted-in, though sending to individuals working for legally incorporated entities, using their work email address is permitted on an opt-out basis. Don’t forget to apply any un-subscribes and opt-outs you have had in the past – especially if you are using a new rented list which may include contacts who have previously opted out but have been re-supplied in your new rented list. Your email should make clear your phone number and address as well as your company registration number (if you have one). Make sure that when you select and target who you send to. Above all B2B email must be relevant to the recipient, so try to make sure they will understand why you sent it. If what you write doesn’t feel relevant you won’t gain any engagement, you may even get an un-subscribe and worse still you might win a bad reputation or dent your brand. If you can, personalize your message and style to suit each recipient. B2B email, indeed all email, can seem impersonal. The impression that you are writing a specific and personal message should improve your results. Once your email is written, re-read it. Ensure it will make sense to the people you hope will read it, and makes the point you want made. Most people think that’s its wiser to write about the benefits of your offer rather than simply listing the features. . . . . it helps fill in any mental blanks and curiosity that they still might have. We hope you find these 5 suggestions useful ones to start creating more effective B2B emails. Watch out next week for our 2nd blog in this series with more great suggestions. For the latest B2B data news and special offers follow us on Twitter and/or LinkedIn.